An artist's illustration of the planned new M Docklands building, which will house Peppers Docklands, a new five-star hotel. 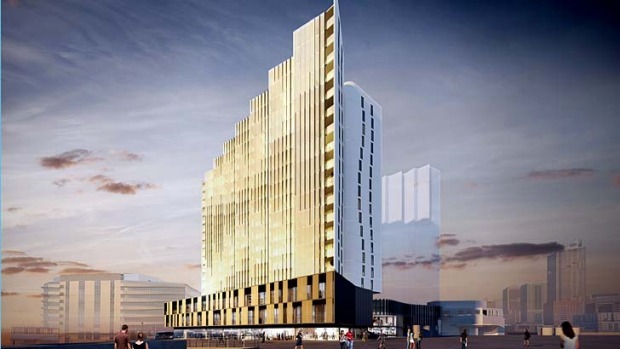 Melbourne's "mini" hotel boom is set to continue with the Mantra Group announcing it will open a luxury Peppers-branded property in Docklands in 2015. The five-star hotel will include an on-site restaurant, pool, gym and lobby with 24-hour reception and full-service concierge. The 68-room hotel will be part of the $100 million M Docklands project at 677 La Trobe Street, adjacent to gate seven at Etihad Stadium. The hotel will take out two levels of the 18-storey building. Apart from the hotel, M Docklands includes residential apartments, serviced offices and shops. It is being developed by Capital Alliance Investment Group. "This establishment will have a couple of floors of very boutique and stylish hotel and food offering," Mantra Group chief executive Bob East said. "We are experts in this field. We have 30 Peppers properties around Australia but this is our first entree into Melbourne. We do focus extremely heavily on our food and wine experiences." Peppers Docklands is one of several new hotels announced or opened recently in Melbourne. The low-cost Tune Hotel in Swanston Street, Carlton, has been in business for a few weeks but was officially opened by Premier Denis Napthine on Friday. 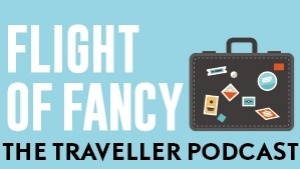 The Tune Hotel Group is a sister company to Malaysia-based low-cost airline AirAsia and has a similar "pay-as-you-use" model with guests forking out for extras such as towels and TV. "Tune Hotel Group's decision to open its first Australian hotel and base its operations here in Melbourne will create more than 100 direct and indirect local jobs," Dr Napthine said. The renovated boutique hotel The Adelphi, which has a glass-bottom swimming pool jutting over Flinders Lane, also quietly reopened last month. Another Docklands hotel, The Altus, was announced weeks ago. The 4.5-star Altus, on the corner of Harbour Esplanade and Dudley Street, will have 299 apartments and 281 hotel rooms and suites under the Parkroyal brand when it opens in 2016. Peppers Docklands will be the first Peppers property in the Melbourne CBD, but the brand has hotels in regional Victoria – at Daylesford, Dinner Plain, the Mornington Peninsula and Torquay. New Peppers are also due to pop up in Brisbane and Sydney, Mr East said. Construction is due to start early next year on M Docklands and the hotel is due to open in late 2015.